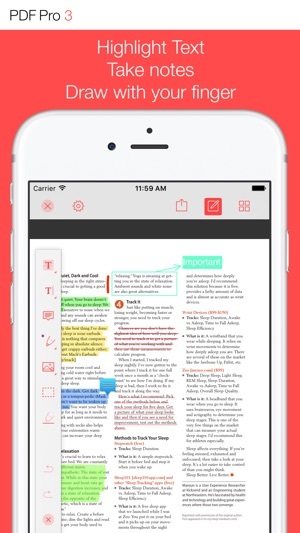 PDF Pro 3 lets you read, edit and annotate your PDF documents directly on your iPhone and iPad. 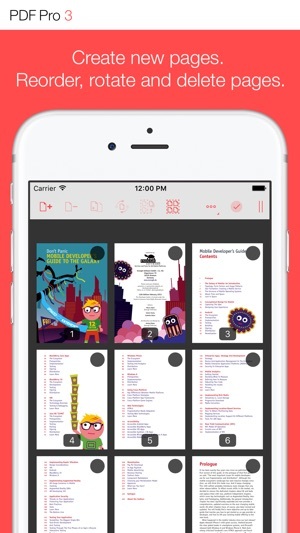 Highlight text, take notes, embed shapes or draw with your finger. You can even embed voice recordings or photo annotations. 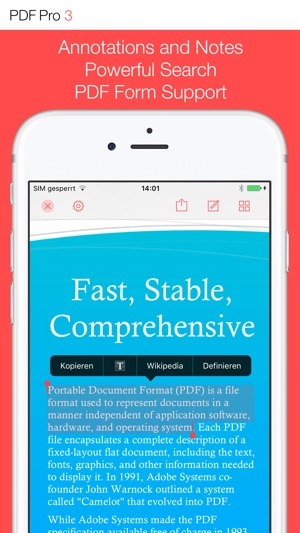 Full-text-search your entire PDF library with just a single tap. Above all PDF Pro 3 comes with full-featured PDF form and signature support. ∙ Import PDFs from your Dropbox®, Microsoft OneDrive® or Google Drive®. ∙ Makes reading in the dark much easier on the eyes. ∙ Export pages or merge them into existing documents. ∙ Reorder, rotate and delete pages. A monthly or annual subscription is required to get access to all premium features and premium offer. Subscriptions automatically renew monthly or yearly depending on your plan unless auto-renew is turned off at least 24-hours before the end of the current period. Plans are priced at $0.99USD monthly and $7.49USD yearly (pricing may vary in countries other than the U.S.). Payment will be charged to your iTunes Account at confirmation of purchase. To avoid automatic renewal, you must turn off auto-renew at least 24 hours before your subscription ends. You can turn off auto-renew at any time from your iTunes Account Settings. - A crash when searching documents has been fixed. - A potential crash with downloadable fonts has been fixed. - A problem with undo/redo has been resolved. - An issue that could result in missing annotation note indicators in third party editors has been resolved. - An issue where sound annotations could not be played back in some cases has been fixed. 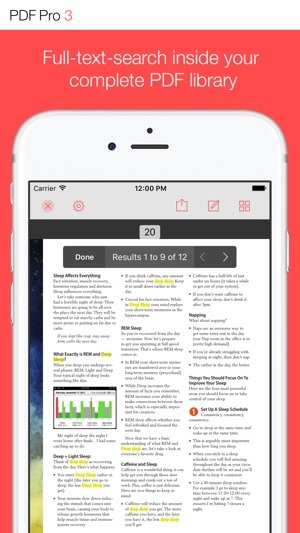 I have used pdf pro on an Ipad since its introduction. I hated to have to buy new versions for each change io IOS but didn’t want to be without it. I even have a subscription for Adobe Acrobat, but find it more annoying than pdf Pdf Pro. I think the reviewer complaining about having to scroll through entire document to find a single page must have it mixed up with Kindle which I have to use on some books. I enjoy being able to fill in pdf forms which full Acrobat does also. Mainly I use PP to read books and textbooks. I even stayed with an older version of IOSto keep from buying the new PP3 which I have now done. With the Ipad Pro I can keep a pdf book open on the side screen while working problems on a blackboard app. Usually great at what it does, but has issues. Will crash, erasing all recent progress. Recent updates have made it have significant lag, increasing the number of crashes and lost notes. Using on iPad Pro, and usually is ok, but not as reliable as a monthly fee payment app should be. Customer service is completely unresponsive, and submitting a help ticket is as good as throwing your complaint into the trash, never to be seen again. This app has a lot of great features that I was looking forward to using. That’s why I bought the pro version. But who would’ve ever thought that any app dealing with files in 2019 would not let you access your files from iCloud? Seriously?! So you want me to transfer my files via iTunes instead? You can’t be serious. I guess I’ll come back in a few months and see if they’ve crawled out of the dark ages and given us the simple ability to open files in iCloud, like everybody else does.